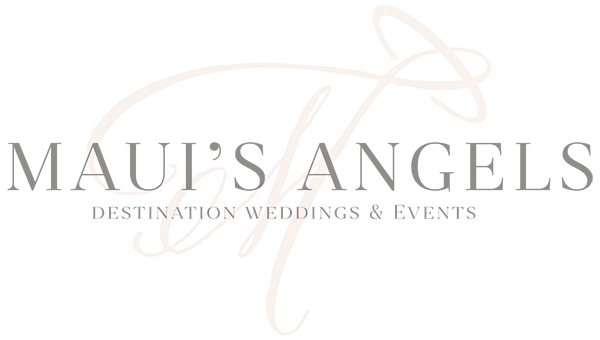 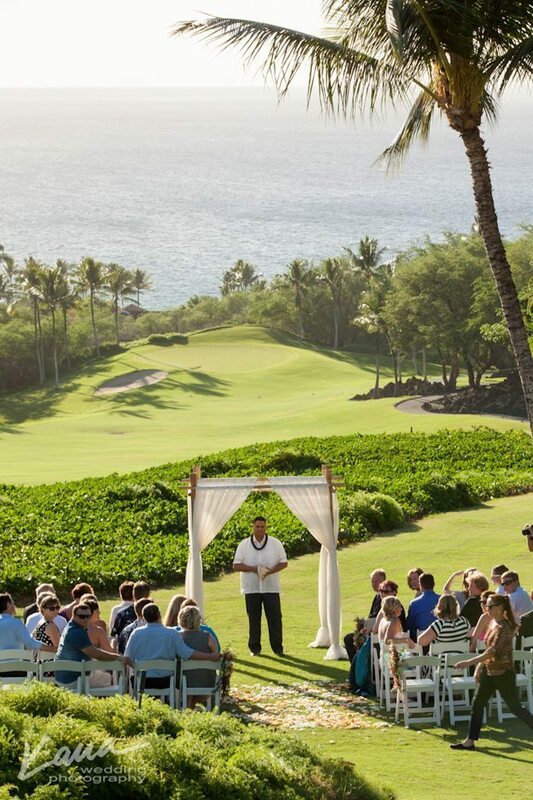 Maui’s Angels Weddings recently had the honor of being chosen as Jamie & Damien’s Gannon’s Wailea Maui wedding planner and we are thrilled to share the results with you! 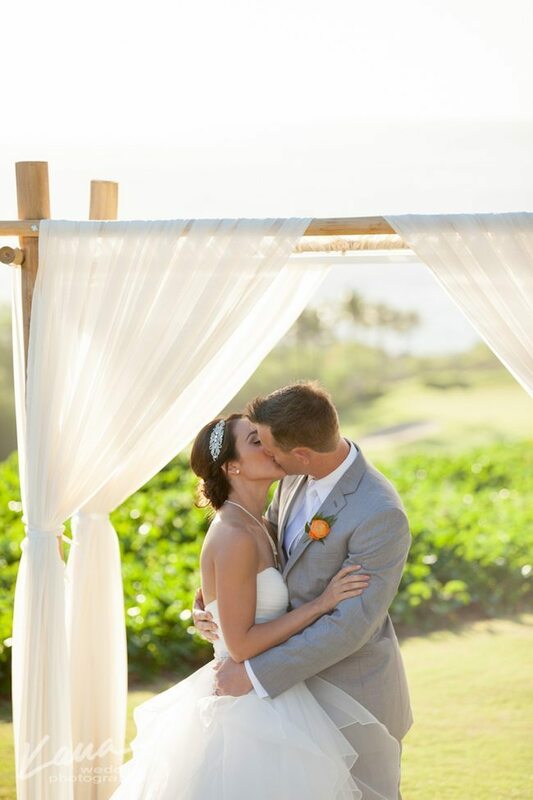 The couple chose the Lower Knoll at Gannon’s as their ceremony location and it’s easy to see why! 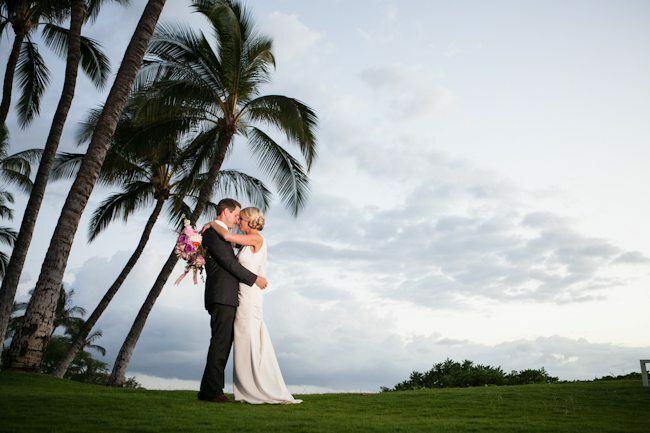 This gorgeous Maui wedding venue boasts stunning, panoramic ocean views and is surrounded by palm trees swaying in the island breeze. 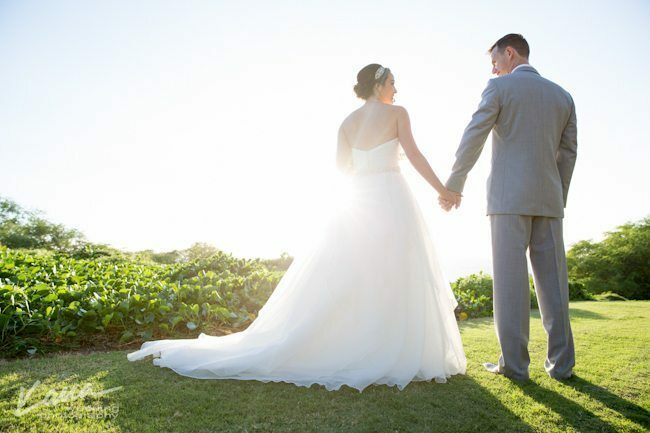 Traveling all the way from Australia to be married on the warm shores of Maui, the couple envisioned a rustic and relaxed affair with a touch of boho added in. 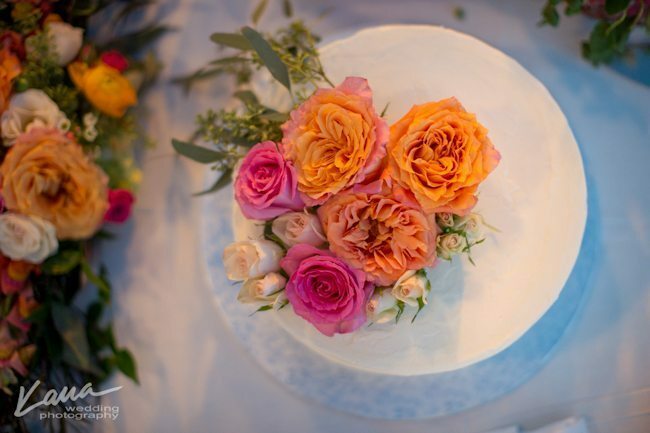 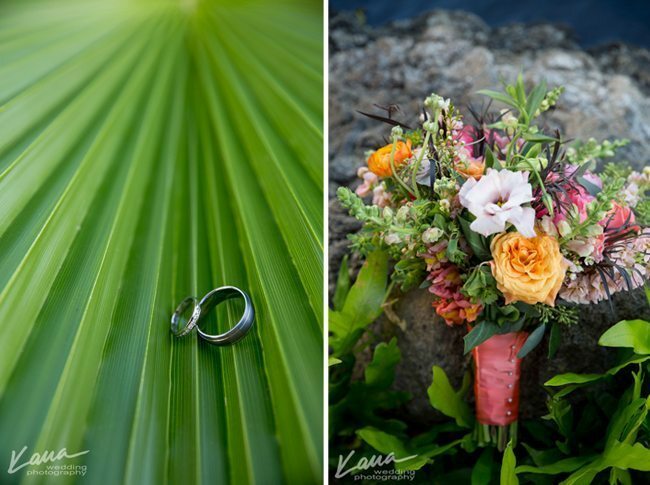 Our in-house Maui wedding designer, Danielle, took the bride’s vision and brought it to life which you’ll see through the perfect images by Kaua Wedding Photography below! 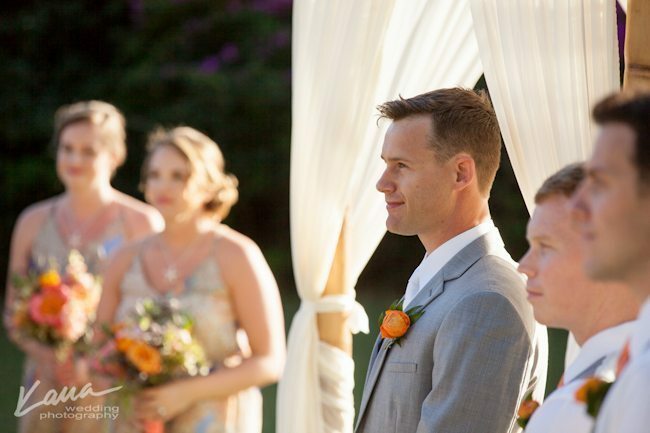 After a heartfelt ceremony performed by Rev. 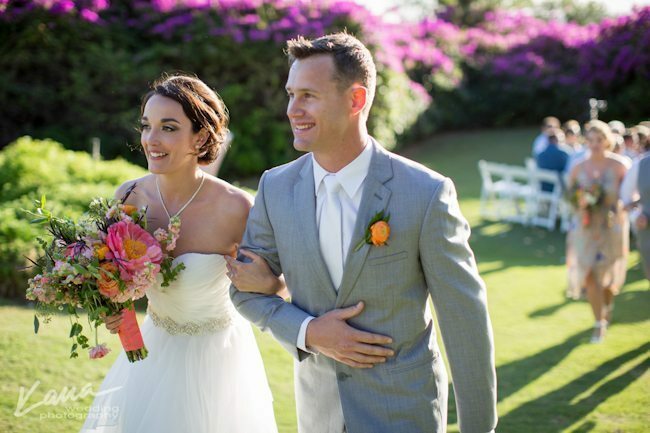 Tino Rosete, the party moved to the Lower Lawn for their reception which was catered by the impeccable in-house staff at Gannon’s. 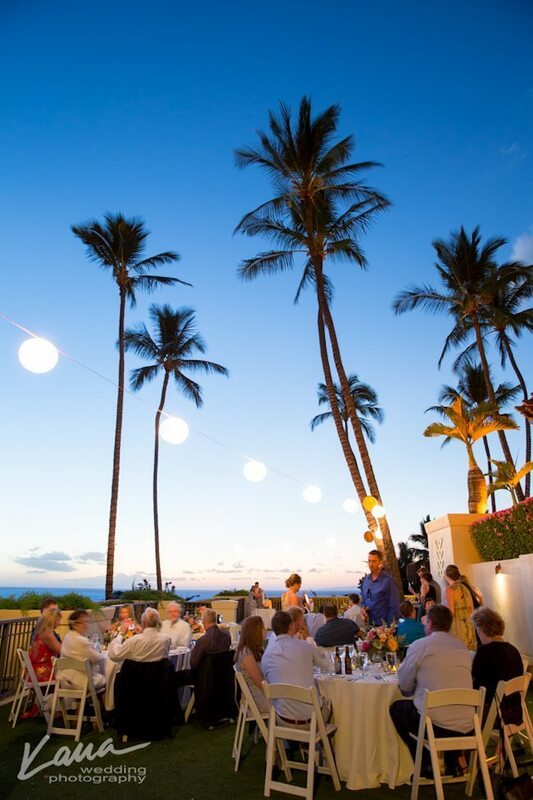 The Lower Lawn seats up to 60 guests and allows for a dance floor and DJ to dance the night away under the stars, which is exactly what this wonderful party did! 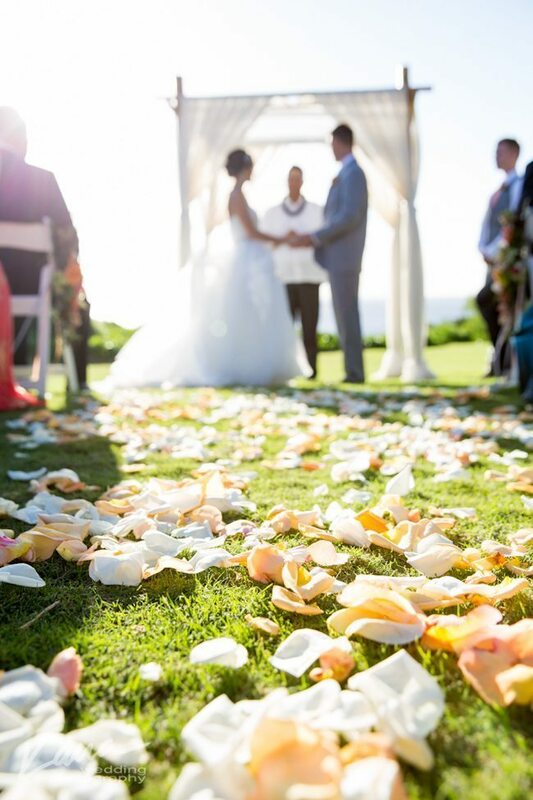 It was truly a pleasure working with this sweet couple and their family and friends, thank you so much, Jamie & Damein, for entrusting Maui’s Angels Weddings with the most unforgettable and important days of your lives. 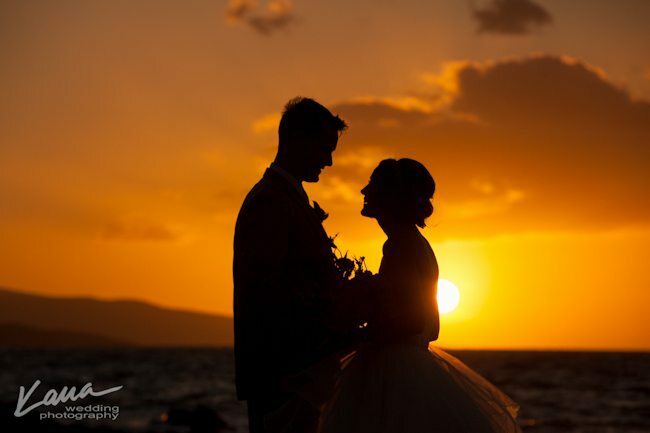 We wish you many more nights as romantic and wonderful as this one was! 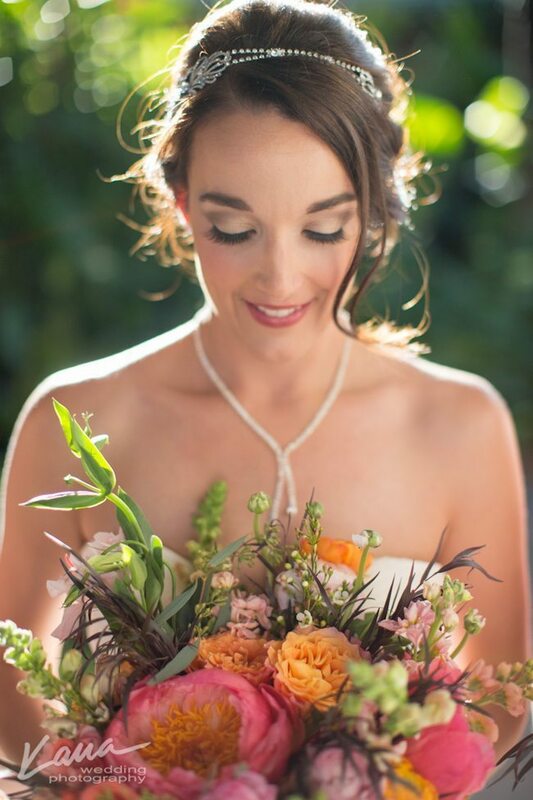 Jamie’s hair & makeup was flawlessly done by I Am Ui’ Beauty and her stunning bouquet was designed by Danielle of Maui’s Angels Weddings. 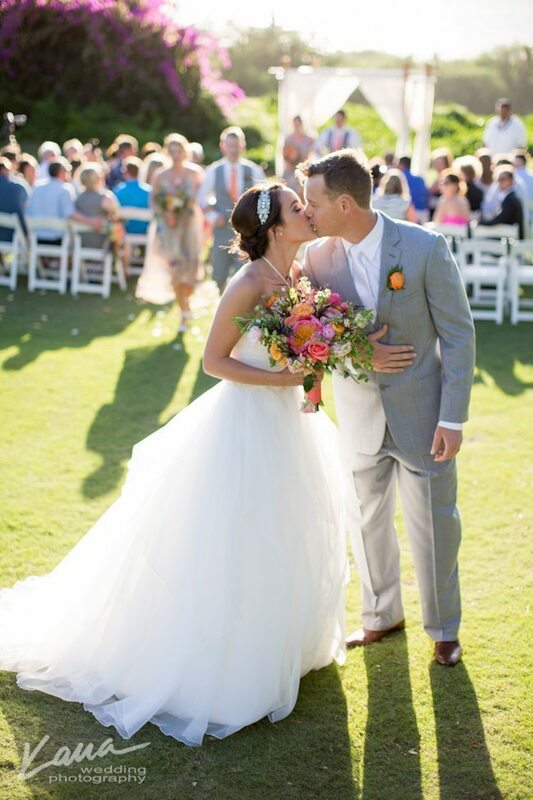 She looked absolutely gorgeous! 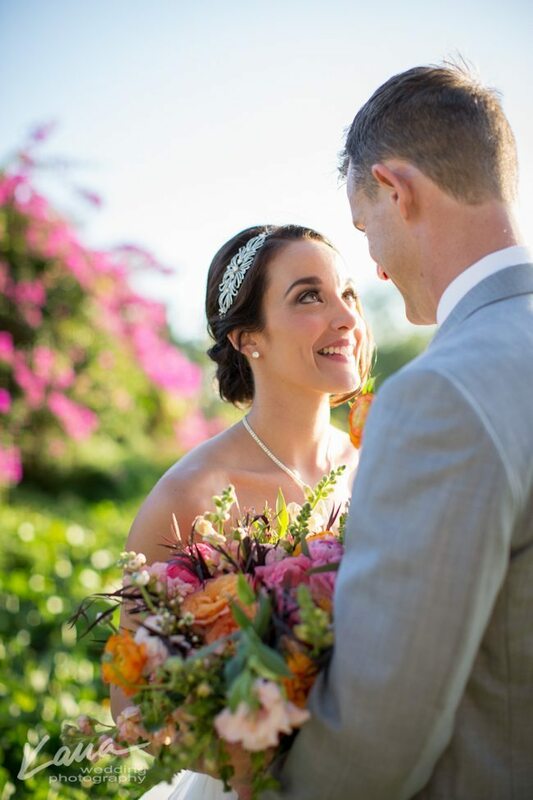 Incredible ocean views and a warm tropical breeze awaited as Jamie made her way down the aisle, scattered with flower petals in shades that complimented her bouquet. 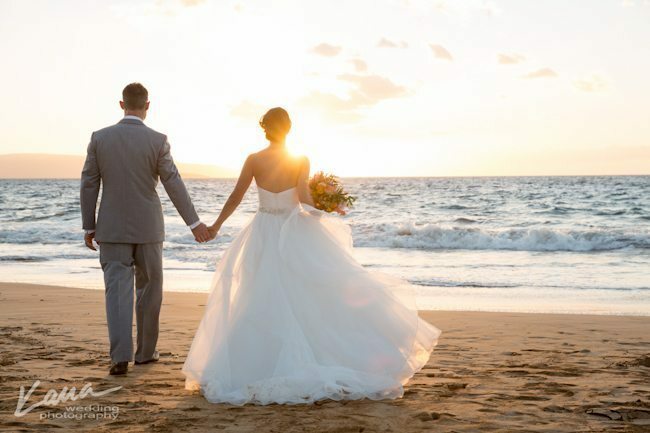 After romantic photos of the bride and groom around Gannon’s, the couple took the quick 3-minute drive from Gannon’s to Po’olenalena Beach for sunset photos with Kaua Wedding Photography. 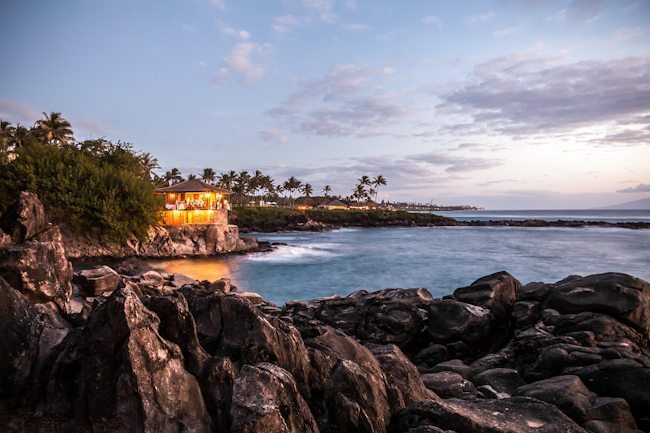 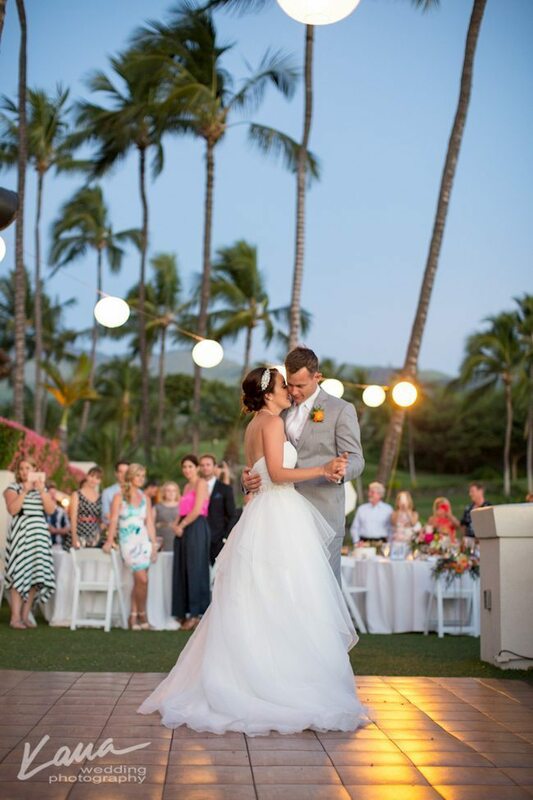 After the sun set the couple returned to Gannon’s where they were served an amazing dinner, then danced the night away under the beautiful, star-filled Maui sky. 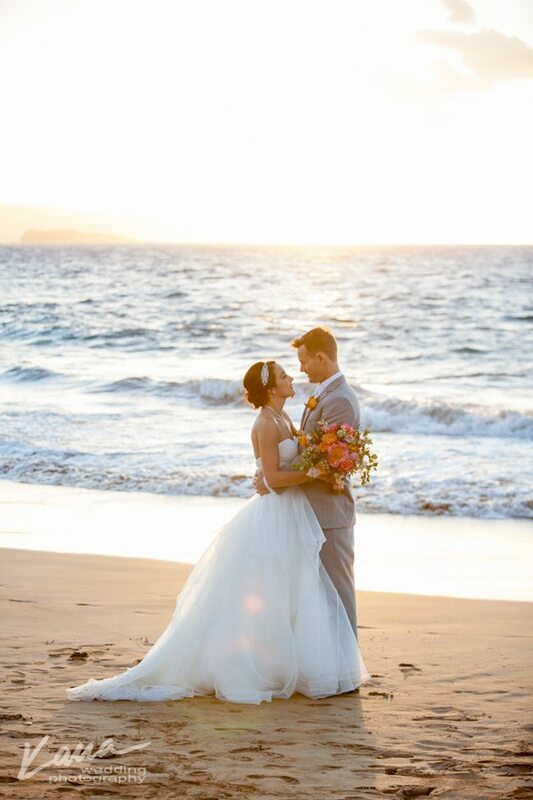 Congratulations to the happy couple, and thank you for choosing us as your Maui Wedding Planner, from all of us at Maui’s Angels Weddings! 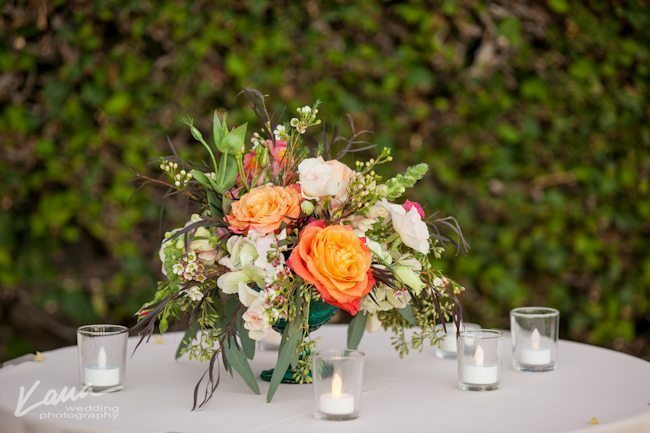 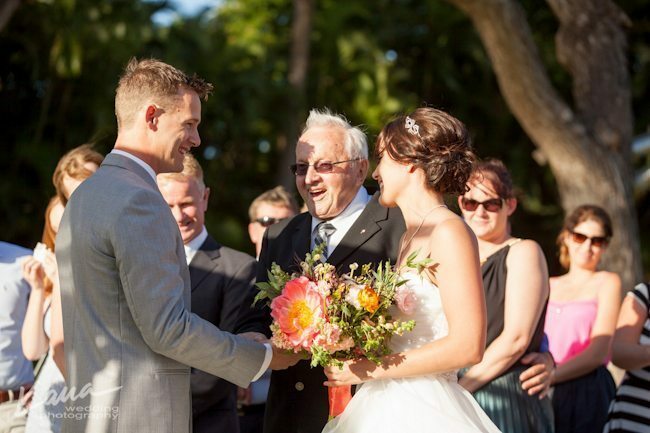 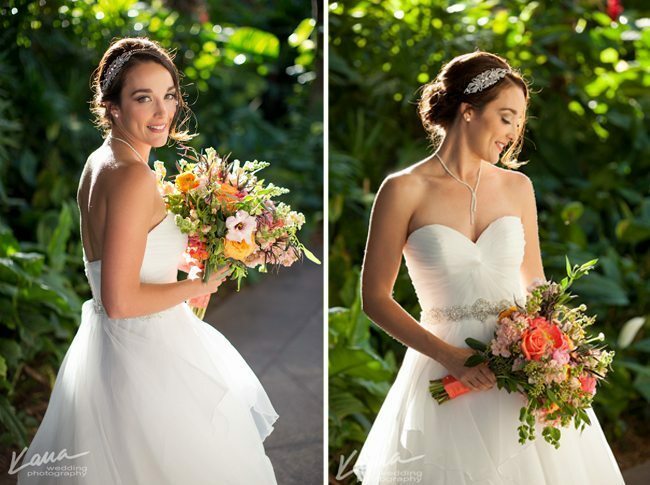 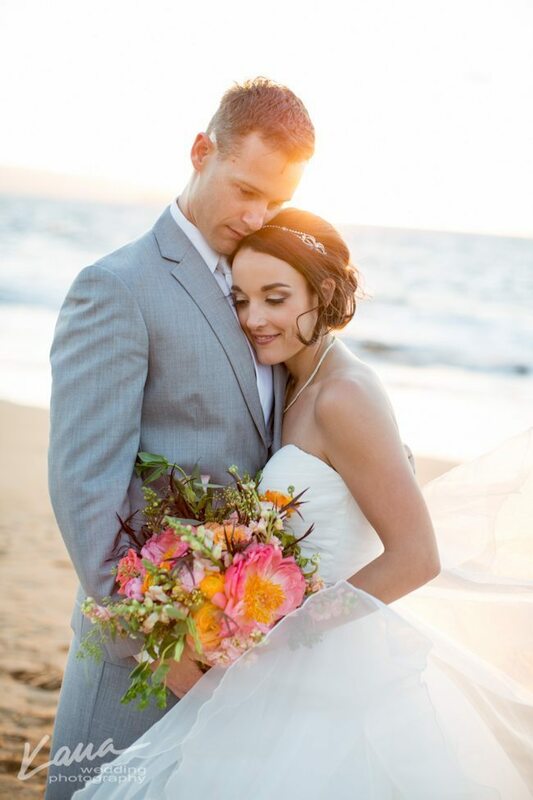 Style Me Pretty Maui Wedding Featured!